Astro Mohan is a renowned photographer and journalist. His deep academic interest in Astrology earned him the name prefix. Hailing from Bellary, he did his schooling in Belgaum and degree in Mangalore. He is a Photo-journalist with Udayavani. The rare photographs, which Astro shot on the life style of Dr. Shivaram Karnath, Jnana Peetha Awardee of Kannada literature, have been considered a landmark, which brought name and fame to Mohan as an artistic photographer of vivid interest. His spectacular photographs on the beauty and serenity of various flowers made innumerable art lovers to turn once again to the nature. The floral photos earned wide acclaim as having therapeutic values in the present day tension ridden competitive society. The visual values of the photographs imbibed in them the quality to promote peace and happiness in the viewers. Mr. A.G.Lakshminarayan started his photographic journey in 1972 and learnt photography from the world famous pictorial photographer late Dr. D.V.Rao. He is a specialist in creative photography, macro and bird photography. A specialist in photoshop, he conducted many digital post processing workshops for beginners and advanced photographers. He concentrated only in creative section of international salons and got 66 awards and over 500 acceptances. His works were exhibited all over the world. 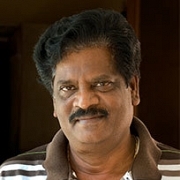 He had been a judge in many Salons and contributed articles to many reputed Kannada magazines. 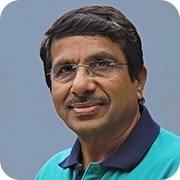 Shri K S Shivarudhraiah os a Kannada Film Director with a 25 year film industry experience and a 45 year theater experience. He has directed 9 feature films and more than 600 documentaries. He was awarded the Best Director Award in the Zimbabwe International Film Festival in 2008. He has won more than 5 State Film awards, Karnataka Academy Awards and the honor of Karnataka Rajyothsava Prasasthi in 2011. 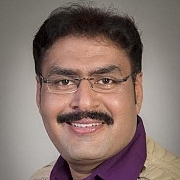 He was elected as the Chairman of Karnataka State Award Committee in 2014. He has also conducted many one-man Exhibitions/Shows of his pictorial works and theaters in Bengaluru, Mumbai, Delhi and Bhopal.